This weeks work involved the Captive Shot Blasting of concrete access ramps of a large multi-story car park. The client found that the smooth finish of the pre-cast concrete slabs were causing vehicles to loose grip and wheel spin badly. We provided a simple cost effective solution… captive shot blast to produce a textured anti-slip surface. This new surface significantly increases the grip of car tyres on the concrete floor even when wet. So, captive shot blasting isn’t purely to clean and polish old, dirty, worn or rough surfaces. It can also be used to to provide a cost effective and zero maintenance anti-slip texture for concrete floors. 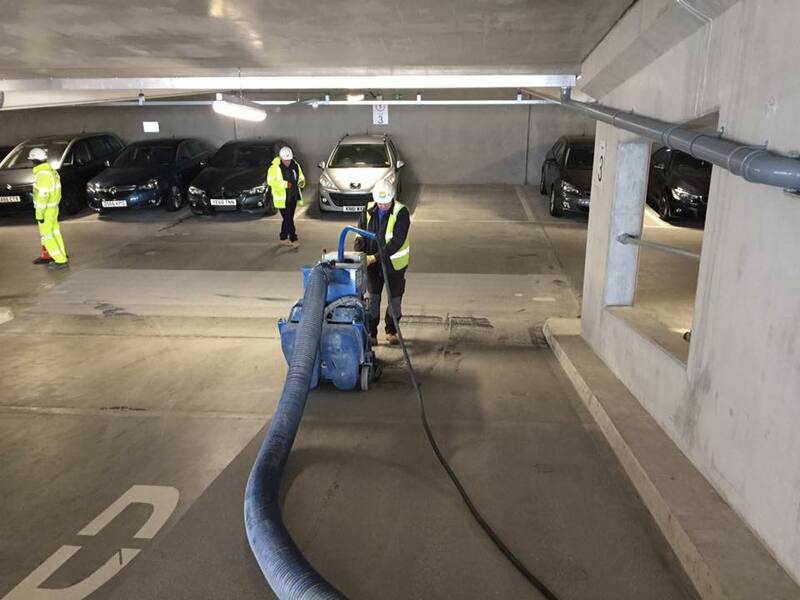 Are you looking for a car park shot blasting quote? If so, contact our expert team today. Either call 01509 412 622 email info@blasttechnology.co.uk or apply online.